Monitoring your heart rate during exercises will ensure you work out at appropriate intensities. Heart rate during exercise is an indicator of how hard your body is working. To make sure you are getting all the bang for your buck, you need to stay in the proper heart rate zone. The American Heart Association recommends a target heart rate between 50 and 85 percent of your age-predicted maximum heart rate. To calculate your age-predicted max, subtract your age from 220. You should participate in cardiovascular exercise several days during the week for at least 150 minutes of moderate exercise in the fitness zone, according to the Mayo Clinic. Training in the aerobic zone, or vigorous activity level, decreases the time requirement to a minimum of 75 minutes per week. 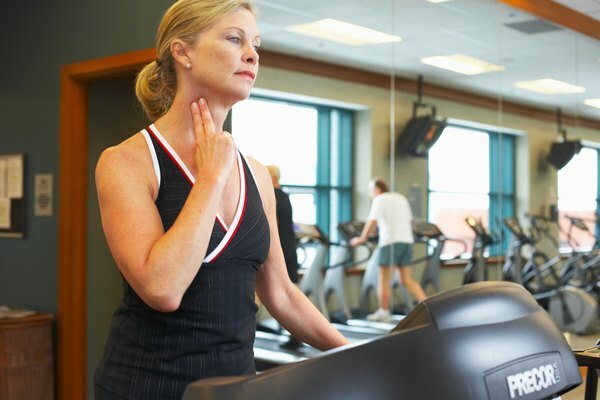 Check with your doctor if you are new to exercising or are changing your routine drastically. The Fitness Guru website defines the healthy heart zone as 50 to 60 percent of your heart rate maximum. It is a light to early moderate intensity zone per the Mayo Clinic. This is a great place to get started when beginning to work out. Exercises at this capacity are typically comfortable and have been shown to decrease blood pressure, cholesterol and body fat. It has not been shown to provide significant cardiorespiratory benefits, so staying in this zone is not an option. As you become more cardiovascularly fit, do your warm-up and cooldown in this zone and focus your efforts on getting that heart rate a little higher. This is a moderate intensity zone, defined as 60 to 70 percent of your maximum heart rate. This zone leads to increased calorie burn and improved cardiorespiratory benefits compared to the heart healthy zone. The fitness zone is not sufficient to provide all the benefits associated with aerobic exercises, so kick it up one more notch once your fitness level improves. By nature, any cardio workout is considered to be aerobic, but to truly gain the health benefits from cardio workouts, you need to be working at a vigorous training level of 70 to 80 percent of your maximum heart rate. Regular training in this zone creates a number of physiological changes that result in improved cardiorespiratory efficiency. Weight loss is a hallmark of this zone; more calories are burned because the activity is more challenging. To gain anaerobic benefits, you must work out at 80 to 90 percent of your heart rate maximum. Physiological benefits include continued improvements in efficiency of the cardiorespiratory system and decreasing lactic acid buildup. 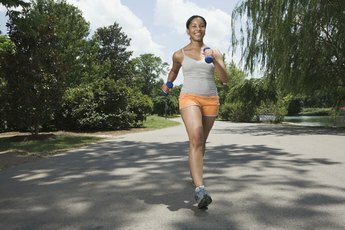 These changes result in less fatigue and improved endurance. This intensity is significant enough that you will likely be unable to chat with your gym buddy and is only for those in excellent cardiovascular shape. Only train above 85 percent of your maximum heart rate after speaking with your physician. 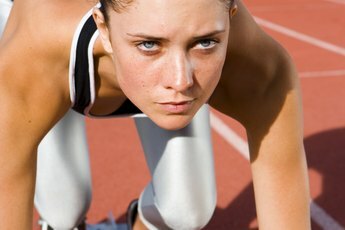 Is Sprinting Good for Your Heart? What Are the Benefits of Short Burst Anaerobic Exercises? What Are the Physiological Responses the Body Has to Aerobic Training vs. Anaerobic Training?